During her fifty-year career, Dr. Robinson worked in community and regional support systems development for at-risk families, children and youth organizations, community-based literacy systems, holistic family centers and nonprofit human services organizations. In addition, her focus has been on systems-based approaches to community planning and policy development, and social impact assessments of various community change projects. Her expertise is rural, integrated community development. Dr. Robinson previously served as Director of the Center on Neighborhood Development and the Director of the Center on Nonprofit Leadership within the Institute on Families and Neighborhood Life at Clemson University (1998-2009). She also co-lead in the development of the Institute’s PHD program in International Family and Community Studies. Prior to her work at Clemson University, she was Associate Director and Research Professor at the Institute for Families in Society and Director of the Division on Neighborhood Development at the University of South Carolina (1995-1998). From 1981-1995, she was a tenured Assistant and Associate Professor in the College of Agriculture and Human Resources (Department of Human Resources), an Associate Professor in the College of Social Sciences (Department of Urban and Regional Planning), and Research Associate in the Center on Youth Development at the University of Hawaii at Manoa. In 1977, she and her husband moved to Hawaii where she was a Research Associate in the Culture Learning Institute at the East-West Center (1978-1981) before joining the UHM faculty. From 1975-1978, she was a senior graduate assistant and Research Associate in the Nonformal Education Institute at Michigan State University working on a multi-million dollar USAID project in Indonesia to enhance the nation’s teacher training college system to include, among other things, an emphasis on community development initiatives. In addition, she served as Vice President of Program and Publications for Pioneer Girls, a faith-based, interdenominational, international girls club, camp and women’s leadership development program (1970-1975). 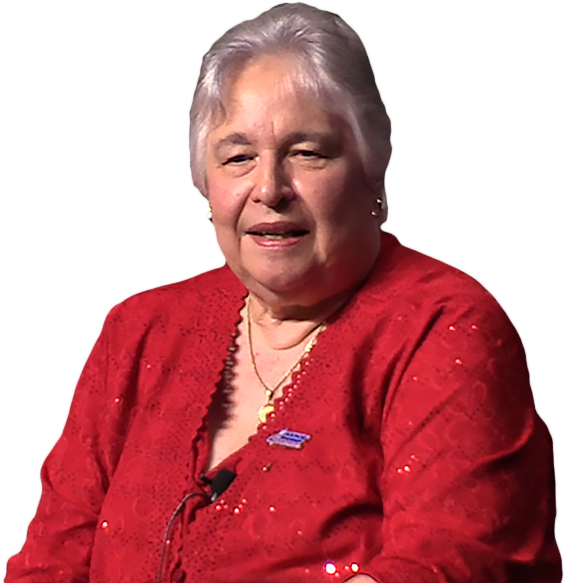 From 1967-1970, she was a graduate assistant in the College of Education at Texas Women’s University working on marine biology science curriculums for inland schools, and a science teacher in the Denton Texas public school system. While studying at Moody Bible Institute, she founded and directed an out of school child and teen development and literacy center in two housing projects in Chicago, as well as founding and hosting a radio program at WMBI (1964-1970). Dr. Robinson testified several times before the U.S. Congress, several states’ legislative bodies, and the United Nations. She served as a consultant to numerous state social service, health, juvenile justice, governors’ offices, environmental, and municipal agencies. Internationally she was a consultant to 28 international organizations, including several divisions of the United Nations, the U.S. Agency for International Development, the International Institute for Applied Systems Analysis, ASEAN and the All Union (USSR) Academy of Sciences, Asian Development Bank, Asian Institute for Technology, Australian Commonwealth’s Scientific and Industrial Research Organization, Canadian International Development Agency, Chulalongkorn University Social Research Institute, European Centre For Social Welfare Policy and Research, the German Development Bank, German Ministry of Education, Indonesian Ministry of Education and Culture, and the U.S. Peace Corps. She has received numerous awards and recognitions from her work, including several fellowships and an Award of Distinction from the National Association of State Universities and Land Grant Colleges for her leadership of a national task group to add new science understanding to what was offered through schools and colleges of Agriculture and Natural Resources across the U.S. She was awarded the University of Hawaii Regents’ Medal for Excellence in Teaching in 1990, the highest award given at UHM. She also has received awards of distinction from the U.S. Peace Corps and USDA for her community development work. At the University of South Carolina, she was recognized for her contributions to research productivity, and received three faculty excellence awards while at Clemson University. Texas Woman’s University honored her in 2015 with the Chancellor’s Alumni Excellence Award and, that same year, the National Development Institute awarded her their 25th anniversary Nonprofit Leadership Award. In 2017, the National Association of Nonprofit Executives and Organizations honored her with their first Robinson Lifetime Achievement Award. She received letters of commendation from three states’ governors for her work in enhancing various aspects of human service delivery systems. Having traveled and worked in 151 countries, she is a recognized leader in rural community development in a variety of national and cultural contexts. She retired in 2009 from Clemson University but remains affiliated with the Institute as an Adjunct Professor. Since her retirement, she has remained active in leadership roles within two charter schools, National Development Institute and the National Association of Nonprofit Organizations & Executives. She currently lives in Pawleys Island, South Carolina. Copyright 2017. Kathleen Robinson. All rights reserved.